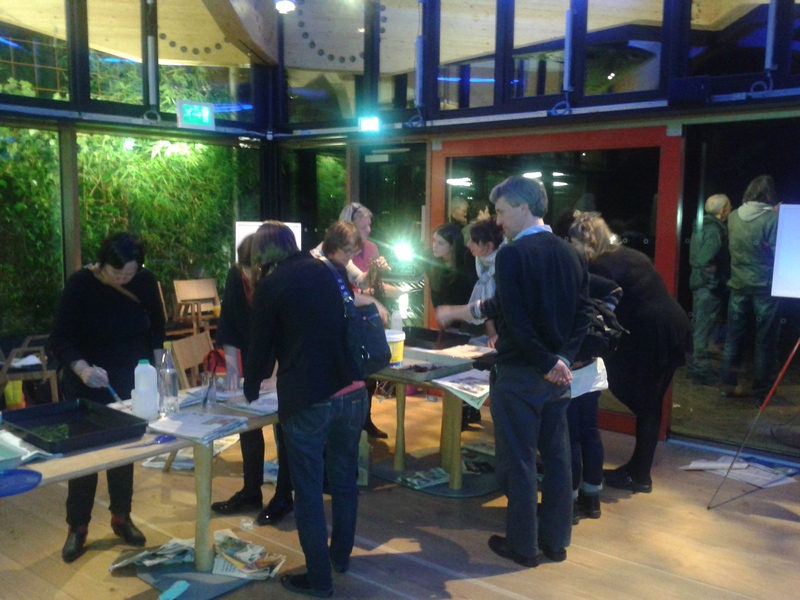 We had a great evening at the Sea Change event at the RBGE on Thursday night. 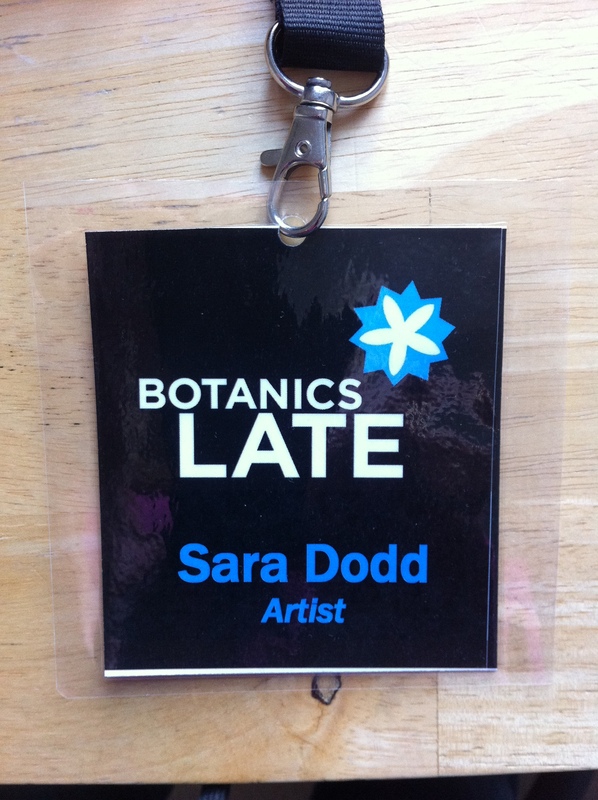 It was the first ‘Botanics Late’ venture, and was held in John Hope Gateway centre; a huge open space venue on two floors. The lower level housed a three different artist’s exhibitions, a sound stage with performances by poets, musicians and comedians, and a lecture theatre filled with microscopes and modelling clay where Professor Kate Darling gave an illustrated talk on the science of foraminifera and the movement of sand. The upper level had several workshop areas; one for seaweed scrubs (by fellow Herbologist Jill Tees), Dr Greg Kenicer offered up seaweed products including a delicious agar panacotta, and Dr Elspeth Haston showed off specimens from the Herbarium collections. Stargazers sprawled across the big deck, sheltering under the eaves, and the bar was in full swing. I held my seaweed pressing workshop in the large space at the back and was flooded with curious and eager participants. 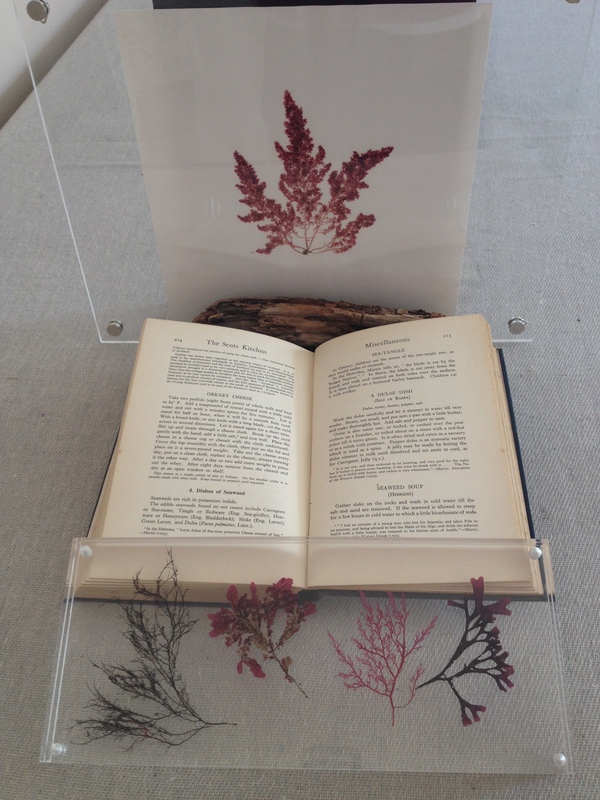 Some had experience of flower pressing from their childhood, but all were new to pressing seaweeds. The enthusiasm was overwhelming and we went through every bit of art paper, blotting paper, cardboard, muslin, and newspaper by then end of the evening! I hope the tightly wrapped specimens made it to their respective airing cupboards later on and that the evening sparked a love of the beauty of seaweeds.